Over the past weekend Stephane Pienaar certainly showed tremendous courage and perseverance in breaking the world record by rowing 267 km in 24 hours, an amazing feat of physical endurance. In recognition of this incredible feat Stephane was awarded a special Certificate of Outstanding Achievement at today’s assembly. Please click on this link to watch the video which celebrates this fantastic achievement. We come to the end of our winter sports season this weekend with our 1st XI hockey participating in the final of the knock out competition against Rondebosch at 11h00 tomorrow at Hartleyvale. They have enjoyed an outstanding season and showed their skills in a thrilling 3-2 victory over Rondebosch last Friday evening. The rugby season ends with the Villagers 7’s today and inter-house 7’s next Friday. The final match was not what we had been hoping for but credit to Rondebosch for a superb performance. Overall the results on the day were positive and the 1st XV has certainly played with a lot of courage and commitment during the season. Earlier this week an invitation went out to the Bishops Community for the Launch of the Hamilton Mvelase Bursary Fund. In 1988, Hamilton won a bursary to Bishops. Those who knew him described him as a hard worker and a natural leader; he was popular with his peers and a great sportsman. 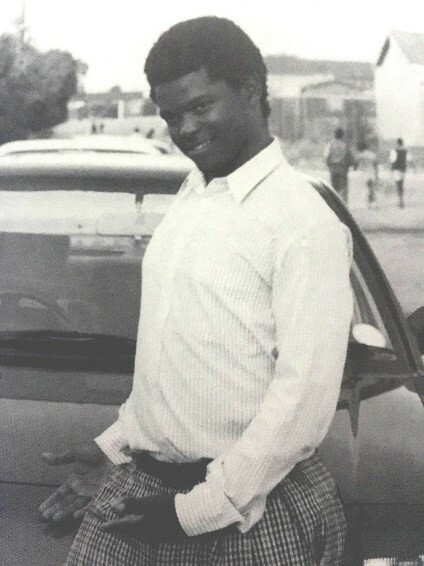 In 1991, tragedy struck, one weekend, Hamilton and a friend made an impromptu decision to take a day pass home to Gugulethu. They caught a bus and were walking across a field when they were attacked. Hamilton escaped but his friend was stabbed in the leg. On seeing that his friend was in trouble, Hamilton returned to assist. He saved his friend but was stabbed in the process. On that fateful day he lost his life. Hamilton’s dreams were never to be realised. It is our hope, that in celebrating this inspirational young man, it will provide opportunities for other deserving boys from disadvantaged communities to have the opportunities that Hamilton was so tragically denied. Bursary’s are a big element in the future vision of the school and thus a major component of the Bishop’s Trust’s 175 Campaign. If you are unable to attend the event and would like additional information regarding Bishops Bursary’s, please contact the Trust office at trust@bishops.org.za or see here . By all accounts the Jazz evening last week at the Crypt was exceptional. Well done to the Music Department on another quality performance. One of the responsibilities of the Grade 11 Parents each year is to organise a fundraiser for their boys’ Matric Dance the following year as well as a charity. This year, the Grade 11 Bishops Parents Party Committee are committed to raise funds for both The Bishops Bursary Fund and the Matric Dance in 2018. An important part of the fundraiser is the on-line auction which is open for bidding and has many wonderful items generously sponsored by the Bishops community and beyond. Go to www.bishopsparentsparty.co.za to bid. Tickets are on sale to all grades for the Bishops Parents Party on 29 September which is always a magnificent affair. Please support this very worthwhile cause. 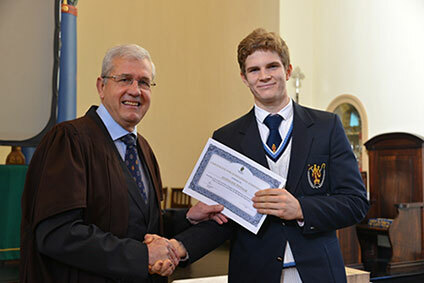 What a wonderful legacy Bishops Families can leave the College knowing that they have provided bursaries to boys that would not otherwise have been able to attend Bishops. We enter a less frenetic phase now as our Matrics start their Mock Exams on Monday. We wish them well.